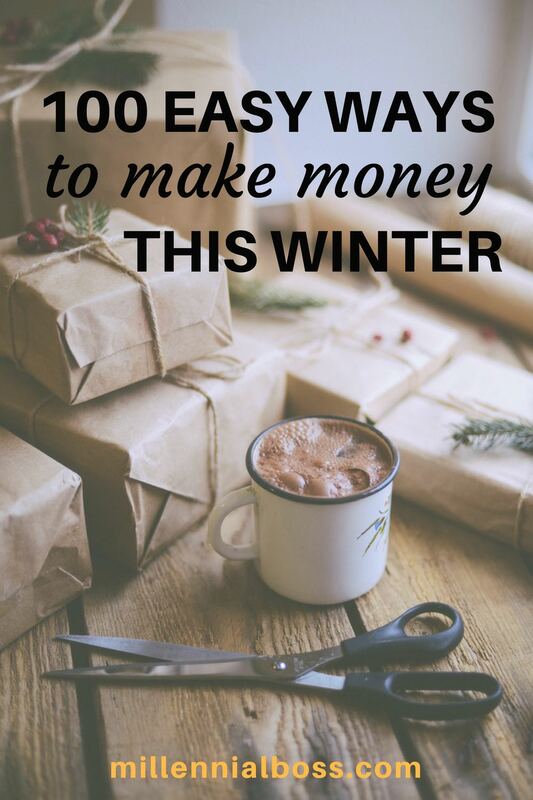 I put together this list to help others and myself make extra money on the side this year. It turns out you can make a decent income online if you know where to look. 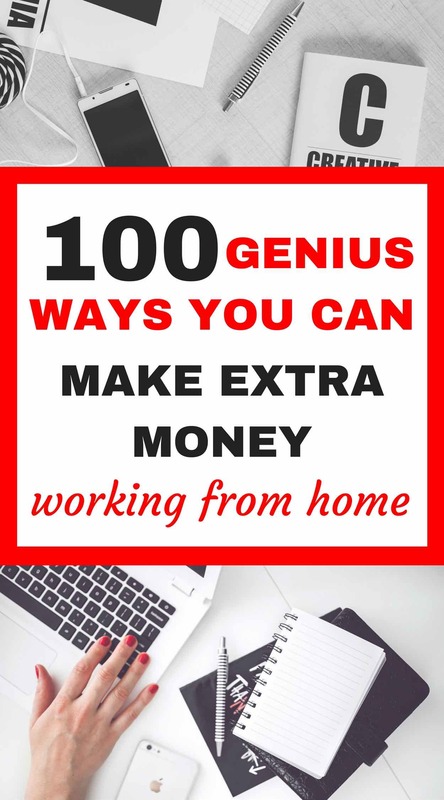 Here are 100 ways to make extra money working from home. Swagbucks pay out over 7,000 gift cards per day just for watching videos and ads. You can download the mobile app and watch a few videos whenever you have a couple of minutes free. It won’t make you rich overnight but it could earn you an extra $100 or so per month. Sign up here for Swagbucks and get $5 FREE. Panda Research is another great one if you have 10 minutes free in your day. They paid out over 2 million dollars in rewards to users so far. Every survey takes 10-15 minutes. 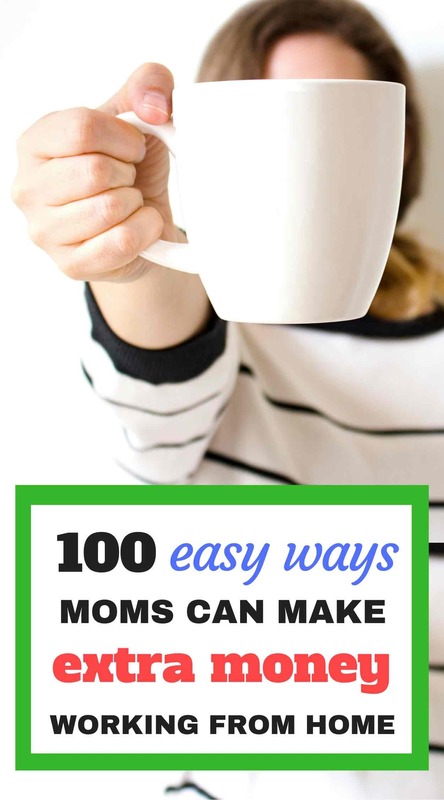 It’s easy money (again won’t make you rich) but every little bit adds up. THIS IS WHAT YOU NEED FOR HOLIDAY SHOPPING. I have been paid out over $200 so far this year in Ebates cash back. Whenever I’m shopping on a website that offers cash back, I click the button to activate Ebates and get cash back on the purchase. The highest cash back I ever received was 24% of my purchase when I was sending my mom flowers for mother’s day. The cash back stays in your Ebates account and is paid out to you quarterly. Sign up here for Ebates and get $10 FREE. Ibotta is another really sweet online cash back company. You can show proof of purchase for certain items and get cash back added to your account. You also can also perform tasks and shop online to unlock rewards. They have all the major companies on there and it’s another no-brainer way to earn money for stuff you already buy. Sign up here for Ibotta and get $10 FREE. You can watch other people’s dogs and get paid to do it? Sign me up! Rover is a fun way to test out different breeds and play with dogs without the responsibility. We actually found a dog walker for our lab mix on Rover and she’s great. She walks dogs on her lunch break for extra money. Easy! Sign up here for Rover and see what cute dogs you can watch today. My husband and I put a room in our home up on Airbnb and were shocked by how much interest we got. Airbnb is an easy way to make an extra $500 a month. One of my coworkers’ parents are retired and they rent out her childhood bedroom to guests on Airbnb. It pays their mortgage every month! Try out Airbnb first as a guest if you haven’t already and consider becoming a host. Sign up here for Airbnb and get a $40 CREDIT FREE. Once a year I got through our closets and I fill up a laundry basket with clothes to drop off at consignment shops. If you bring 10 items, you can get over $50, depending on the condition of the item. You can also drop off accessories too. Statement necklaces are really popular right now and I’ve dropped mine off for cash. This is a job that many of us had in tenth grade but it’s lucrative. People don’t fool around nowadays. You can get over $20/hr cash babysitting. I’ve always wanted to sell on Etsy but I couldn’t think of a product. I did some research and saw that I could create digital products (such as resume templates, grocery list templates, etc.) or I could sell a physical product. I decided to sell a physical product and it was super easy. I made $70 already and it’s been just a few weeks. Sign up here for Etsy and get 40 free listings. Now I get paid to take these surveys. Here are my 11 favorites and I recommend you sign up for all of them and see which ones you like the best. Do you have any electronics that are still in the box? Maybe some new with tags clothes? Maybe stuff you got last holiday season and never used. I made $4,500 last year selling extra furniture and household items on Craigslist. Seriously, I went through my kitchen cabinets and pulled out extra frying pans, mugs, and silverware sets we never used. If you have a free free minutes, go on glassdoor and make sure you’re getting paid fairly for your position. You should be able to see other people’s salaries in your area for the same job title and company. Similarly, start looking on job boards for a new job! It’s much easier to get a salary boost when switching positions. Tech jobs are where the money is right now. Learn how to code at all of these free sites and help land a job in a well-paying field. I like w3schools and hackerank for educational material. I never imagined it was possible but so many people are doing it now. I said “why not me?” and dove right into it. If you’re interested in starting a blog, I purchased my domain name and hosting through Bluehost. I also wrote this step-by-step guide to starting your own site. I know so many bloggers who hire VAs to help them get their stuff done. From proofreading to transcribing podcasts, you can help so many bloggers from home. I listen to podcasts on my morning commute and always hear advertisements from sponsors. Start your own podcast about your favorite subject and secure sponsors to get paid. 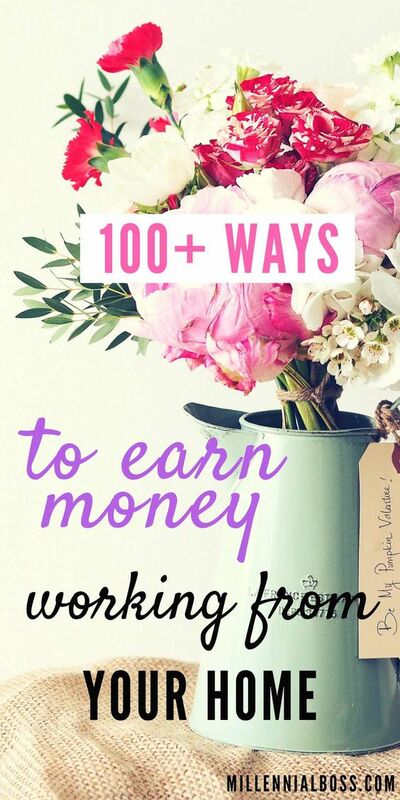 You can get paid to use Pinterest. I know people who get paid to manage other people’s Pinterest accounts. Particularly, bloggers’ accounts who just don’t have the time. The concept of Fiverr is that every task is $5 but you can get paid more my upselling the customer. I know I purchased a logo through Fiverr but I wanted multiple designs and the editable file, I needed to pay $15 more. I guess this involves you physically leaving your house but you could technically become a driver on your free time. I LOVE going to craft fairs. Create ornaments, jewelry, or something special to sell at fairs. Similarly, are you a really good baker? Why not sell your baked goods? Ebooks are sooo easy to make. Seriously, I made my first one in Microsoft word and then saved to PDF. You can get the Woocommerce plugin for your blog and then have people download them for money. Here are 15 ebook ideas. You can buy a physical product (or find one cheap in stores) and sell it for more money on Amazon. Have you heard of Amazon FBA? Basically you send products to an Amazon warehouse and then create a store on Amazon. Then your job is pretty much done. When someone buys your products, Amazon handles the packaging and shipping. Are you an expert at makeup or hair? Do you like being on camera? Think about starting your own YouTube channel. You get paid for views. I took this course on how to make money recommending products online. It was Making sense of affiliate Marketing by Michelle Schroeder-Gardner. She makes over $1M per year recommending products to people on her website. Check out her course to learn more. Whenever I buy a product online, I always google it first. I typically find review sites where people review the product. If I click their link, they get paid a commission. Consider starting your own review site and start making money! You can make money by promoting products on Instagram! You can set up direct affiliate links to your favorite products from Pinterest. I currently link to Nordstrom and Urban Outfitters and when someone clicks on my pin and purchase, I get a commission. Put up a poster on the nearest telephone pole and have a good old-fashioned yard sale. Have you heard of Doordash? You can get paid to pick up food for lazy people (including me! I totally use Doordash when I don’t have time to eat). No need for a car payment when you can walk or bike or take the bus. I sold my car last year and haven’t looked back. When you spend the extra minute to research better rates, you keep more money in your wallet. Here are 10 things you should be doing yourself versus paying to outsource. Eating better is healthier for you which lowers your health costs. Less money spent on healthcare is more money in your pocket. Similarly, staying more active will help you by lowering your health bills. You can get paid hundreds of dollars to write for other sites. Email bloggers and companies to ask if they’d be willing to pay you. There are so many sites where you can sell your pictures online. Take your talents online and see what you’ll get paid to do. Similarly, set up a Craigslist listing and see if people would be willing to pay for your talents. OK this is making money by not spending money. Here are alternatives to cable that still let you watch good tv. My husband and I lived with roommates for two years and we survived. Consider renting out a room in your home for some extra cash each month. Less money leaving your wallet is always a good thing. When you know what you spend, you spend less. Spend the 5 seconds to create an account with a website such as Mint. Most people have no idea what their net worth is. I recommend using Personal Capital which will tell you exactly what it is for free. Knowing this number will make you money in the long run because you’ll be motivated to increase your net worth. It works for me! The Personal Capital mobile app is something I check daily. Sign up here for Personal Capital – it’s free and super motivating. Get $20 free for signing up! What did I miss? 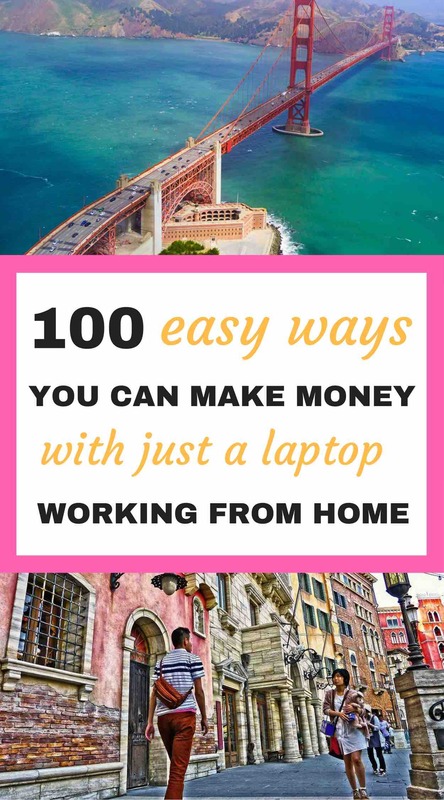 How do you make money from home?